Tech enthusiasts sharing How-Tos, Reviews, Info and News. 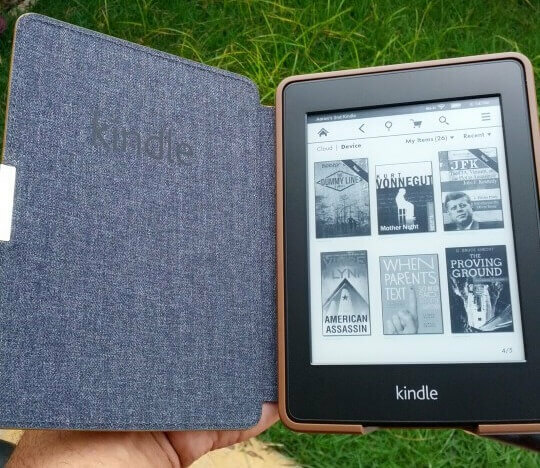 Amazon Kindle Paperwhite and Case Review. Excellent, but not for everyone. For the right person, a Kinde Paperwhite is an excellent e-reader, fully Booya Certified. It's an affordable, simple and highly effective device. With plenty of gadgets at my fingertips I didn’t “need” another book reading device but I love having what I call a “Battleaxe Gadget” next to my bed, reliable and miraculously always has some juice left. So nice to read outdoor, indoor, light or dark ! I definitely like the Paperwhite better than the previous version of my Kindle Touch because of its many new features. This thing truly is just like reading a book and it is totally usable in direct sunlight and of course at night. This is arguably the best e-ink / e-reading experience on the market today, reading books on this bad-boy is truly a pleasure. Dark room shows you the lighting on a fairly high setting. 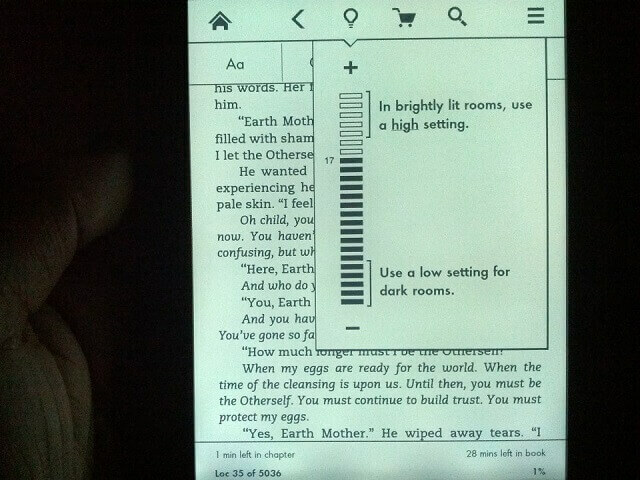 To read in bed, I use a far lower setting and it is easy on my eyes. Love it. There are 4 obvious best features of the Kindle Paperwhite: affordability, built-in lighting, crazy-long battery life and the great screen resolution. This thing looks like a book, you can store thousands of books in it, it’s small, portable and easy. Most customer and owner feedback that you may read during your shopping experience confirm this. If you feel you need more tablet-like features then grab a Kindle Fire or Kindle HD or all the way up to Android and iPad tablets (budget permitting). If you want simplicity and just a great book reading experience then save a few bucks by not buying a tablet and grab the Paperwhite. Paperwhite Battery life is no joke. 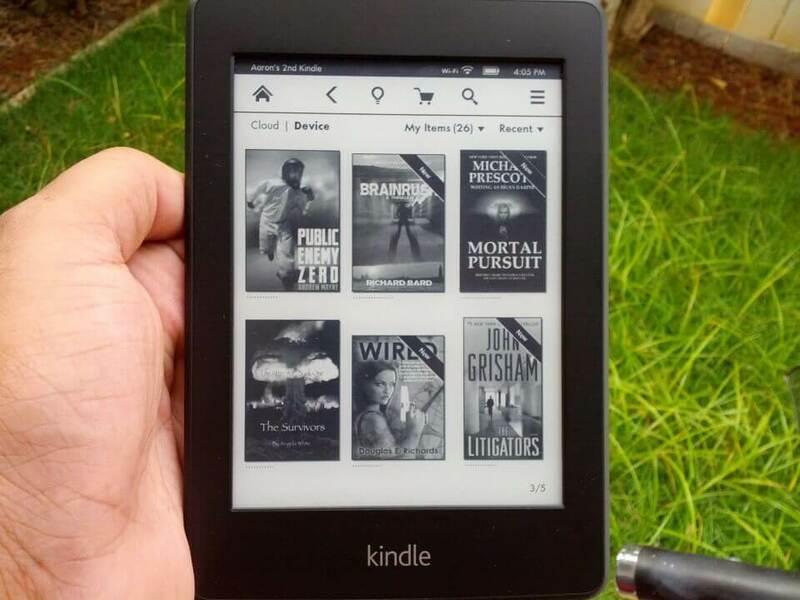 WHO IS THE RIGHT PERSON FOR THE KINDLE PAPERWHITE ? The perfect owner of the Paperwhite is obviously a passionate book reader, and everybody knows one or is one themselves. But the reason I don’t think this great gadget is for everyone is because the Kindle App software is so good and widely available. You can get the Kindle book reading app on an iPad, a droid tablet, and any smart phone. The software is even available on a PC or Mac. If you already have another tablet I wouldn’t feel compelled to purchase a Paperwhite as well. Travelers are also an excellent gift recipient for a Kindle. Airline travel is tricky now-a-days and it’s nice not to lug around heavy books. But if you travel with your family, maybe your kids steal the iPad for gaming and you could still use your own Paperwhite and read the entire flight on the way there AND back on the same battery charge! As I mentioned in my opening paragraph, I certainly don’t “need” my Kindle but I love owning mine. 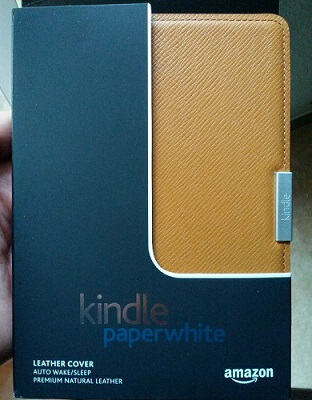 You can buy the Amazon Brand Paperwhite Leather case for $39. I really like this case, it’s a perfect fit, protects your Paperwhite and also provides a nice auto-off feature when the magnetic clasp is closed. It’s super-easy to install and comes in a variety of colors depending on your taste. The only thing that comes for free is the USB Cable ( wall adapter not included ). 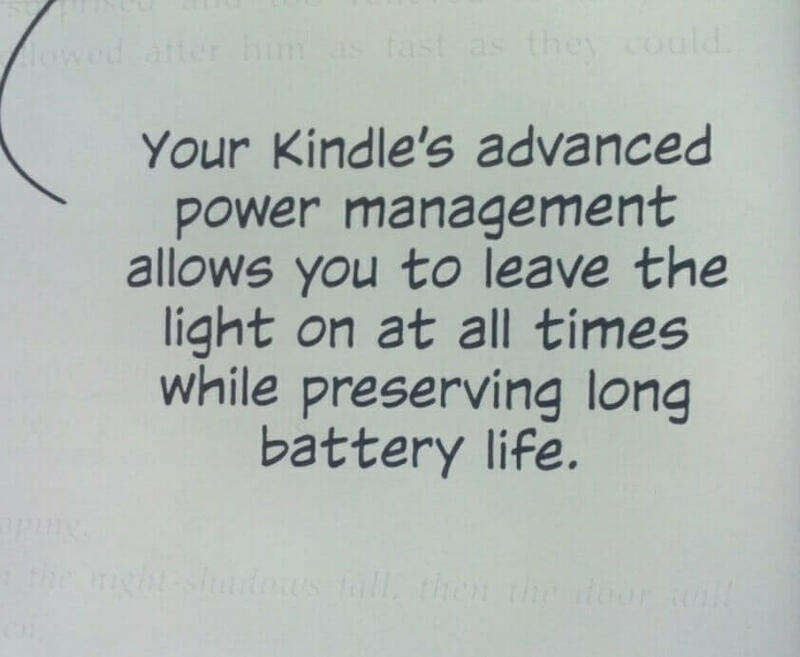 So to charge your Kindle Paperwhite, you’ll need to have your own wall adapter, or simply plug it into a computer which is what I do. Here's my Kindle in its Brown Leather Case. 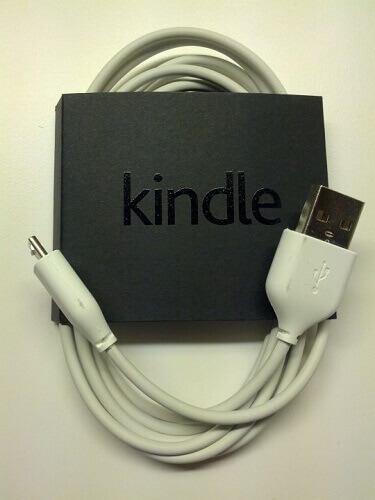 This is the accessory included with your Kindle Paperwhite. kindle should I buy ? © 2018 Booya Gadget. Powered by Jekyll using the So Simple Theme.